When a friend messaged me with “I’ve got an idea I want to make with the kids for my wedding” we couldn’t say no. 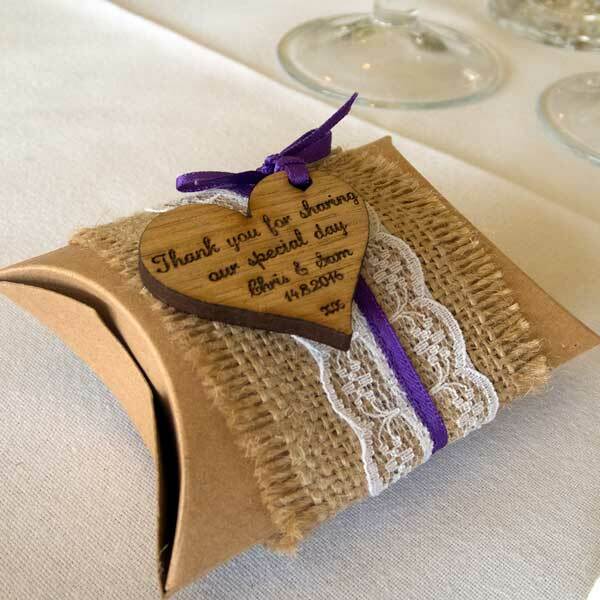 She wanted to make some eco-favours for her wedding and had decided that seed bombs would be great to make and give filled with her grandmother’s favourite flower seeds. 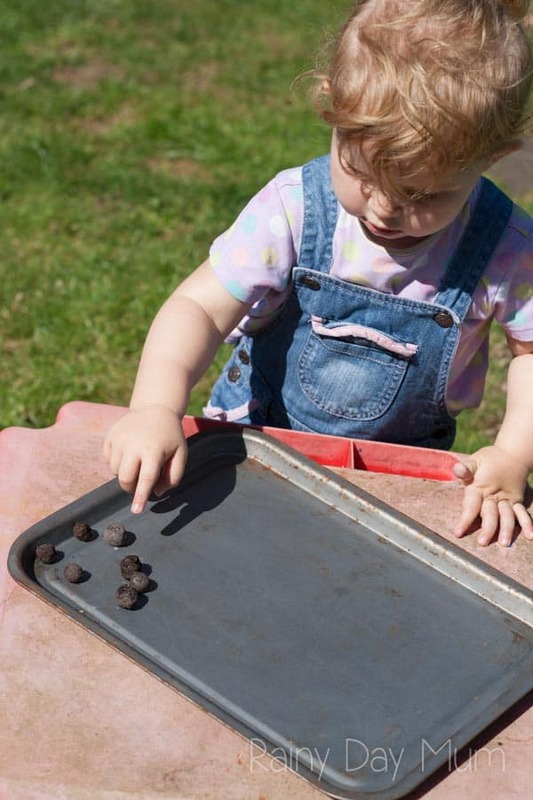 So the week before her wedding we sat down with the kids – her toddler and my two and created these ever so easy DIY Seed Bombs. 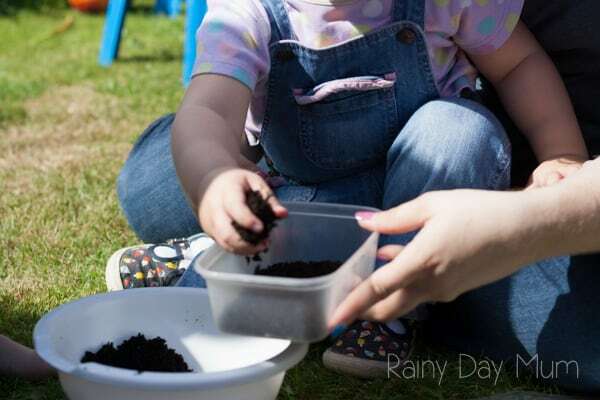 If you want a quick effect from the seed bomb being thrown to the seeds flowering then check out our recommendations for quick growing seeds for kids. When you are making anything with kids make sure that you have collected EVERYTHING that you need together in one place. Start off by putting the seeds into a tray. Then add in the compost and mix together well. Wet your hands and break off a small marble sized piece of clay. 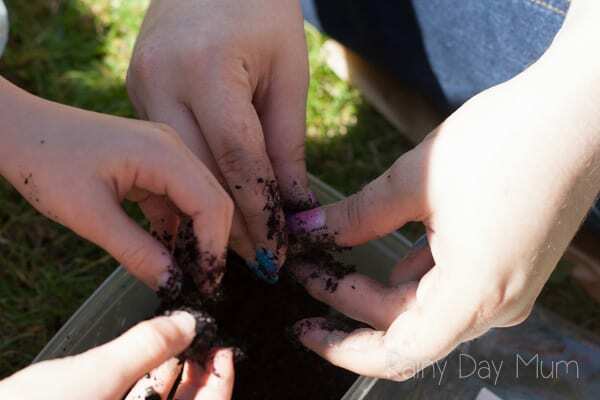 Flatten the clay on your palm and add in a little soil/seed mix. Mix together and roll into a ball. Leave on a baking tray in the sun to dry. 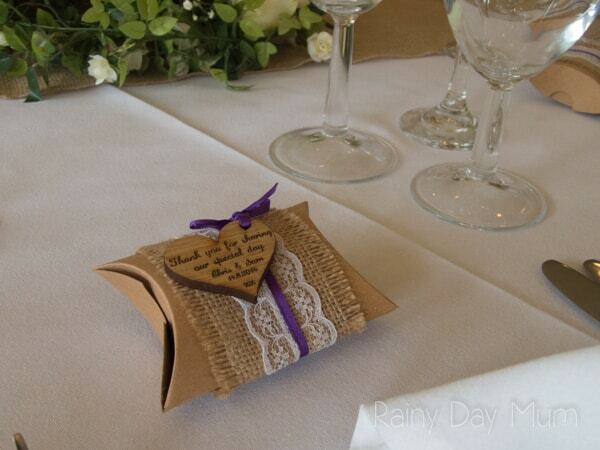 Want to be prepared and get the equipment ahead of time for the favour boxes check out the list of what we used below. 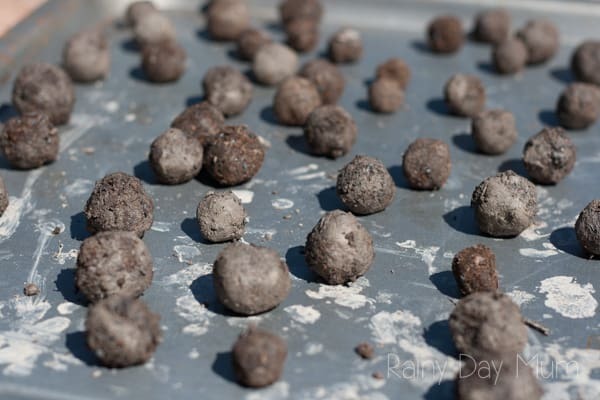 We liked using what we had available at home for our seed bombs but I discovered two alternative ways of creating them. Using Potters Powder Red Ted Art has a method that produces large seed balls ideal for larger favours for your wedding. Make some seed bomb eggs with this method from Me and My Shadow. Twig and Toadstool has some beautiful rainbow seed bombs made with recycled paper. 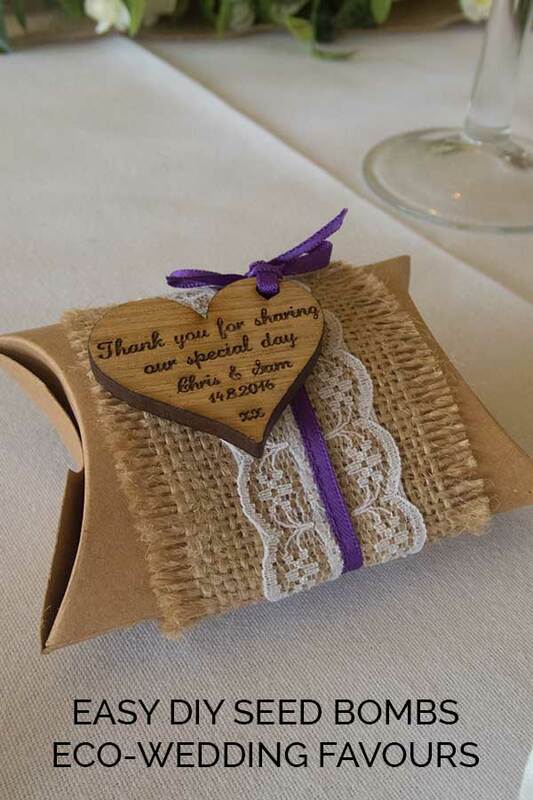 Oh I love how these are given as wedding favours. How wonderful! 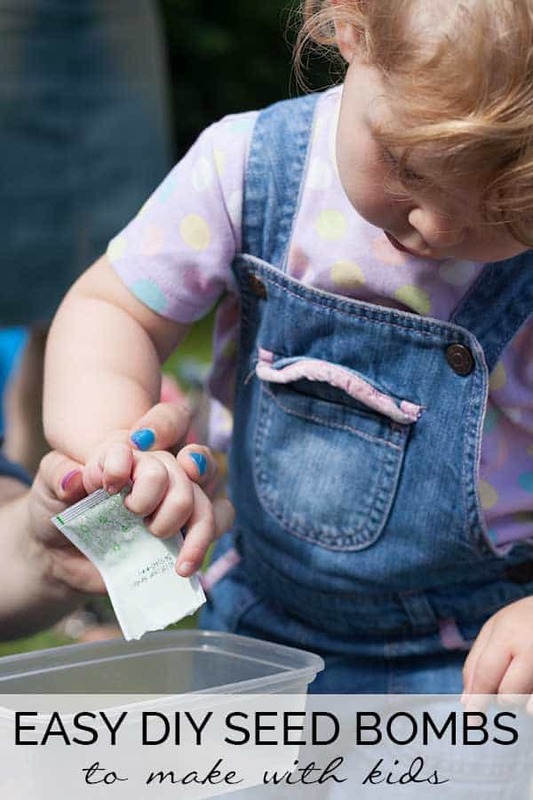 Hi there, I am a childminder and I want to give kits to make these seed bombs to the kids I look after for Christmas but I am not clear on what the “recipe” is in terms of amounts. 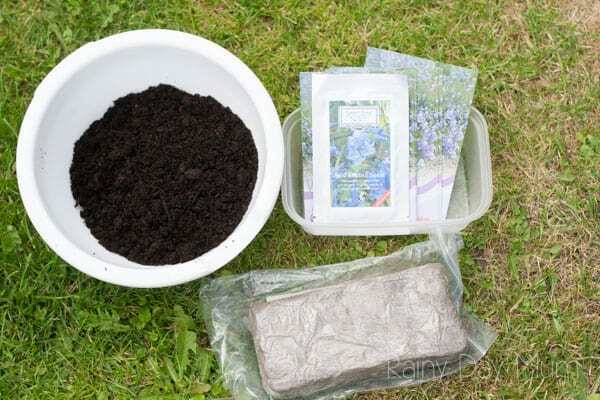 How much clay to compost to seed ratio? Or is it really just a case of chuck it in and it will probably turn out fine? It really was a chuck it in and if it became too dry we added a little water – too wet we added a little more clay and compost. 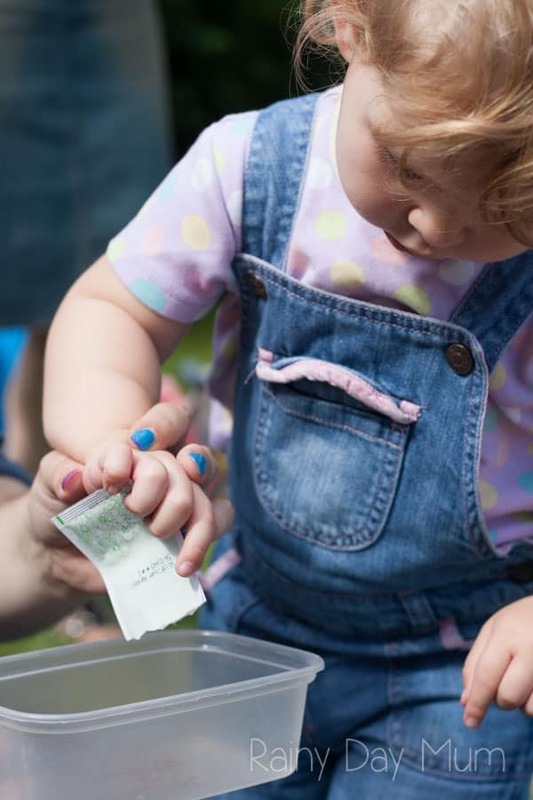 In terms of seeds we made quite small seed bombs and it was 3 packets… I would recommend using wildflowers instead of snowdrops especially with kids (or even poppy seeds) as these are more likely to grow than snowdrops from seed.